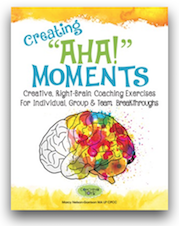 Melt Worry and Relax gives you 56 of the most creative and effective strategies available to help you melt worry and breath easier - all in bite size nuggets. The Growing Mindful Card Deck features 52 unique mindfulness activities to increase awareness, learn how to be present in the moment and cultivate kindness & curiosity. 50 simple, yet powerful practices that will help you build skills of awareness, compassion, and presence for what matters in your daily life.